This module is assessed with formative and summative essays. You will also be required to complete an online research skills task. Submission of all essays is required to achieve a pass. There is no exam component for this module. Please note that the department will apply substantial penalties for missed deadlines and for failure to submit essays. Further information about the penalties for late submission of formative essays is provided below. For information on the penalties for late submission of assessed essays, and for the process of applying for an extension, please see your relevant Undergraduate Handbook and the Essays page. All essays must be original and cannot duplicate previous ones. If there is a need to refer to one of your previous essays (including formative ones) that must be done as a citation with a proper reference. Given the varied choice of questions it is advisable to choose different questions for different essays. Titles for assessed essays will be posted on these webpages at least 6 weeks before the submission deadline. These are compulsory essays; they must be submitted and must achieve a passing grade. Deadlines are 4th and 8th week (DURING SEMINARS). TERM 2: Assessed Essay 1 (3,500 words), weighted as 50% of your module mark; Submission deadline: Tuesday, week 2, term 2 by 12 noon. TERM 3: Assessed Essay 2 (3,500 words), weighted as 50% of your module mark; Submission deadline: Tuesday, week 2, term 3 by 12 noon. These are voluntary essays; if you decide to do them, they must be submitted and must achieve a passing grade. TERM 2: Assessed Essay 1 (5,000 words), weighted as 50% of your module mark; Submission deadline: Tuesday, week 2, term 2 by 12 noon. Visiting students taking the module who are not present for the whole year must submit ONE assessed essay for each term that they are registered. Each essay is 2,000 words. Term 1: Assessed Essay 1 (2,000 words); Submission deadline Tuesday, week 12, term 1, by 12 noon. Term 2: Assessed Essay 2 (2,000 words); Submission deadline Tuesday, week 12, term 2, by 12 noon. Term 2: Assessed Essay 1 (2,000 words); Submission deadline Tuesday, week 12, term 2, by 12 noon. 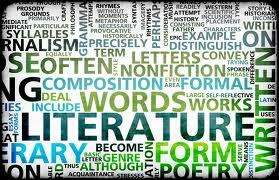 Term 3: Assessed Essay 2 (2,000 words); Submission deadline Tuesday, week 9, term 3, by 12 noon. Titles for the essays will be the same as for those students taking the module by standard assessment. Students arriving in term 2 will write both essays on topics and texts covered during seminars and lectures in term 2. Unassessed essays are optional for Erasmus / Part-Year Visiting students.